As more and more people rely on electronic rather than tangible forms of money on a day-to-day basis and the world's financial systems appear to become more and more complex, many are left to ponder the future of money and currency. It's not likely that paper money will completely disappear at any time in the near future. It is true that electronic transactions have become more and more common over the last few decades and there is no reason why this trend will not continue. We may even get to the point where paper money transactions become incredibly rare - for some, they already are! At that point, the tables could turn and what we now consider paper money may actually act as the backing to our electronic currency, the way the gold standard once backed paper money. But even this scenario is difficult to picture, in part because of how we have historically placed a value on paper money. The concept behind money dates back to the beginning of civilization. It's no surprise why money caught on amongst civilized people: It was a much more efficient and convenient way to transact business as opposed to bartering with other goods and services. Can you image keeping all of your wealth in something like livestock? But unlike goods and services, money does not hold an intrinsic value in and of itself. In fact, today, money is merely a piece of specialized paper or numbers on a ledger. While it's important to note that this was not always the case (for much of history, money was minted in coins of metals that held real value), today the system relies on a mutual set of beliefs. That is to say, that money has value because we as a society have assigned it value. In that sense, you can consider money a good with a limited supply and a demand simply because we want more of it. Simply put, we want money because we know that other people want money, so we can trade money for goods and services. This system works because a majority of us, if not all of us, believe in the future value of this money. So if we are already in the future where the value of money is simply the value assigned to it, what has stopped us from moving toward an entirely digital currency? The answer is in large part due to our national governments. We have seen the rise (and falls) of digital or cryptographic currencies like Bitcoin. Some continue to wonder what we're all still doing with the dollar (or the pound, euro, yen, etc.). But beyond the issues of storage of value with these digital currencies, it is difficult to imagine a world in which such currencies replace the national currencies like the dollar. In fact, as long as governments continue to collect a tax, they will have the authority to dictate the currency in which those taxes may be paid. As for one universal currency, we're not likely to get there anytime soon, though we do suspect that the number of currencies will fall as time goes on and the world becomes more globalized. We already see that happening today like when a Canadian oil firm negotiates a contract with a Saudi Arabian company and the deal is negotiated in American dollars or EU euros, not Canadian dollars. 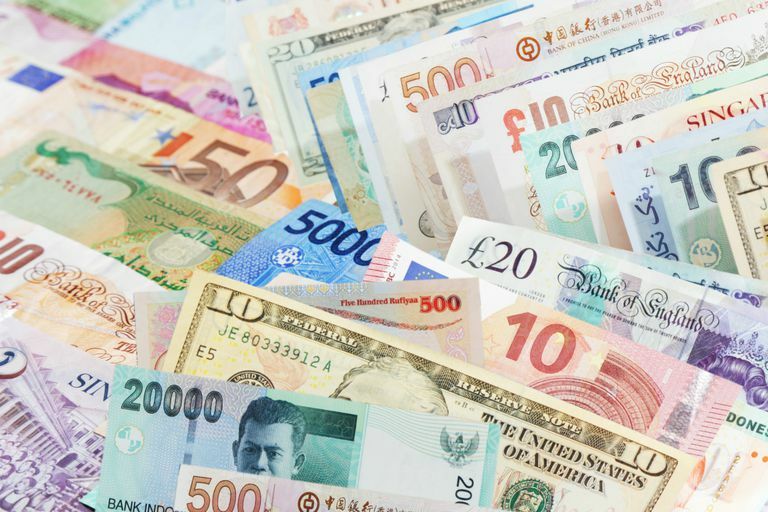 The world could get to the point where there are only 4 or 5 different currencies in use. At that point, we'll likely be battling over standards, one of the largest deterrents to such a global change. What we're most likely to see is the continued growth of electronic transactions for which people will be less willing to pay fees. We will be looking for and inventing newer, lower cost ways to transact with money electronically as we've seen with the rise of services like PayPal and Square. What's most amusing about this trend is that while less efficient in many ways, paper money is still the cheapest form in which to transact: It's free!